Complete your Pi setup with our custom designed faceplate specifically designed to fit your 2.4" PiTFT HAT and Adafruit Pi A+ case base! 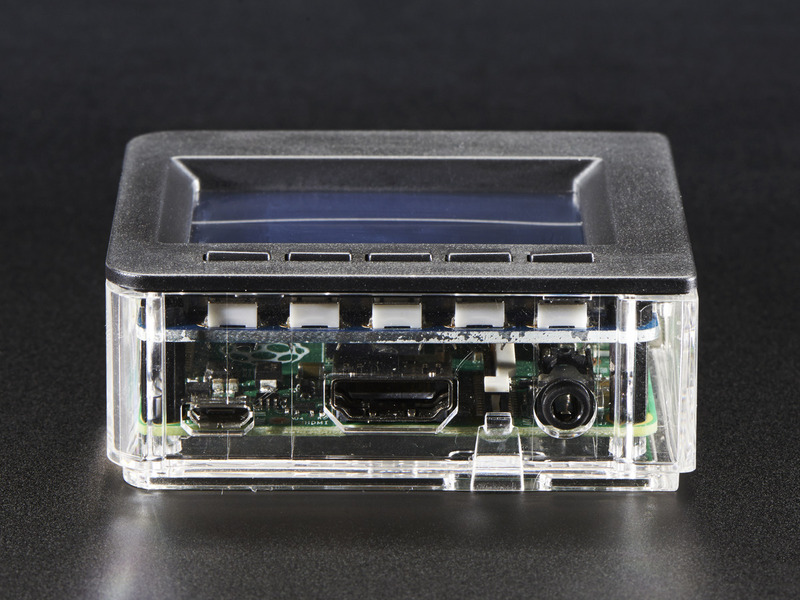 This Faceplate and Buttons Pack is a simple way to enclose your 2.4" PiTFT and Pi safely and in style. 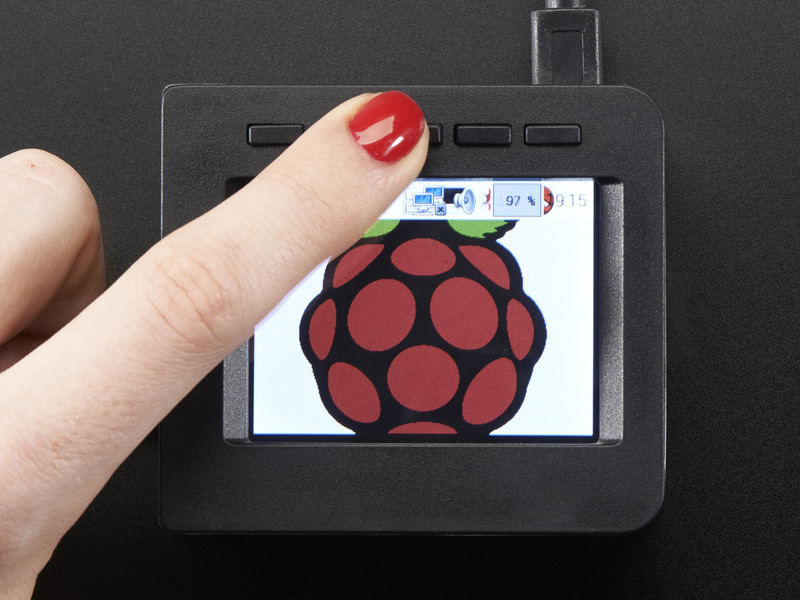 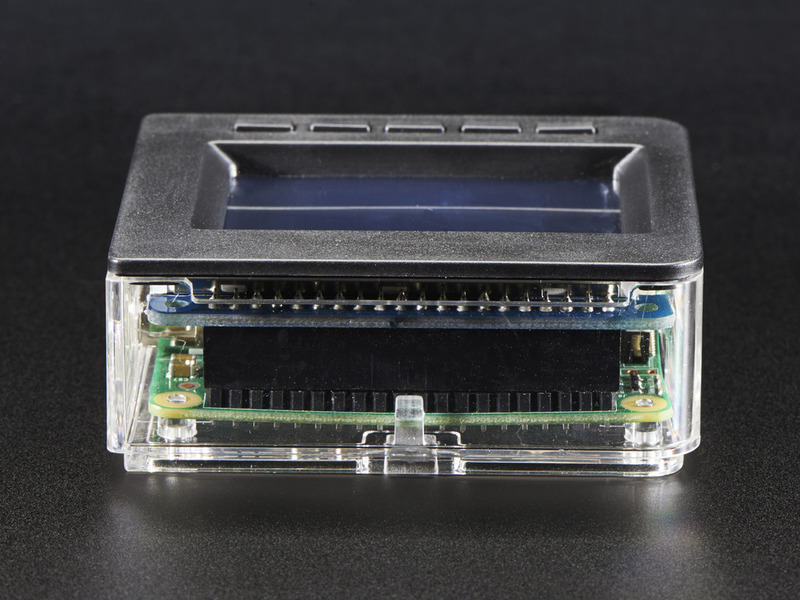 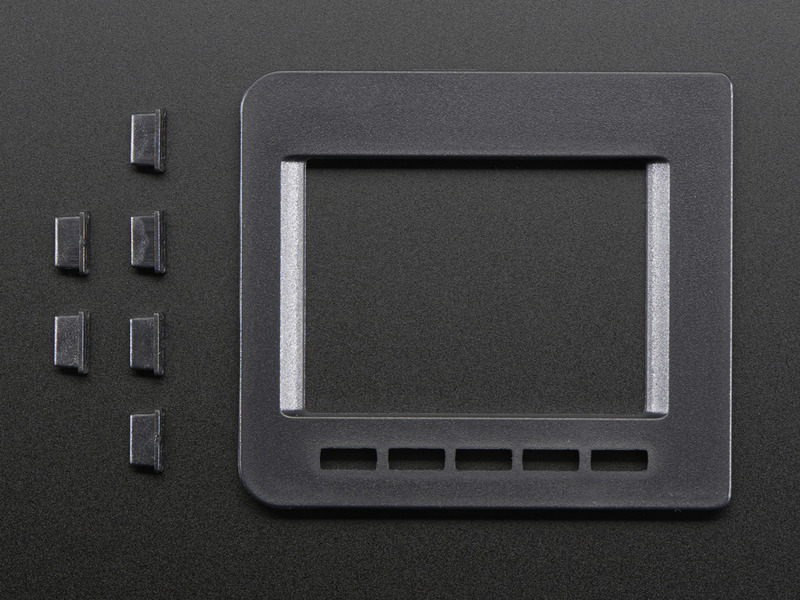 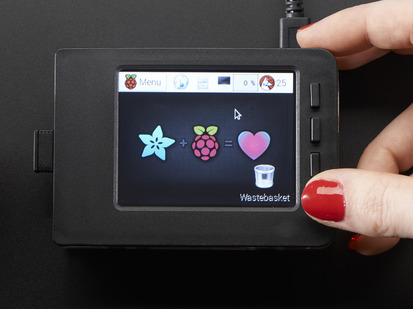 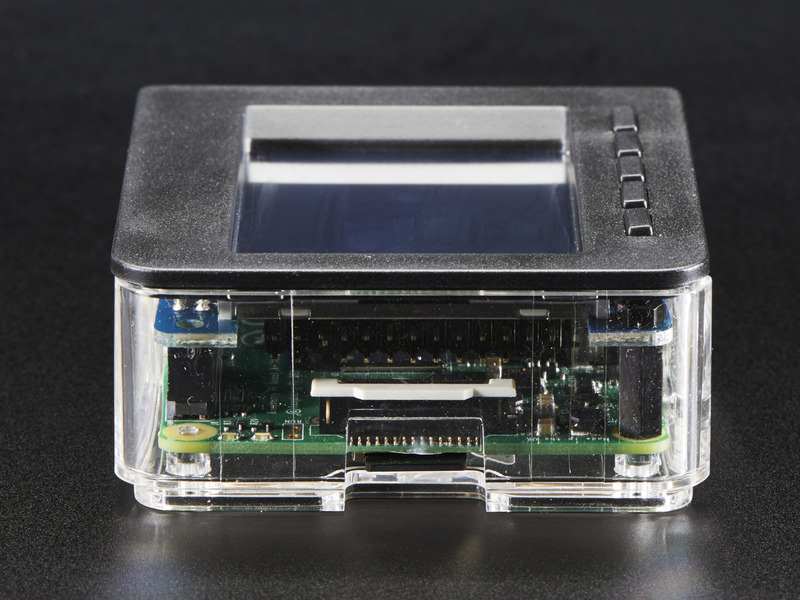 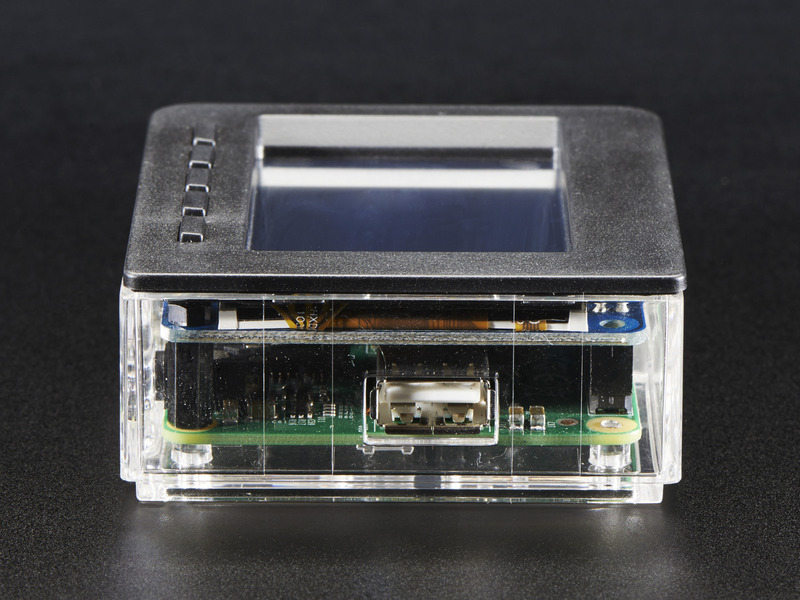 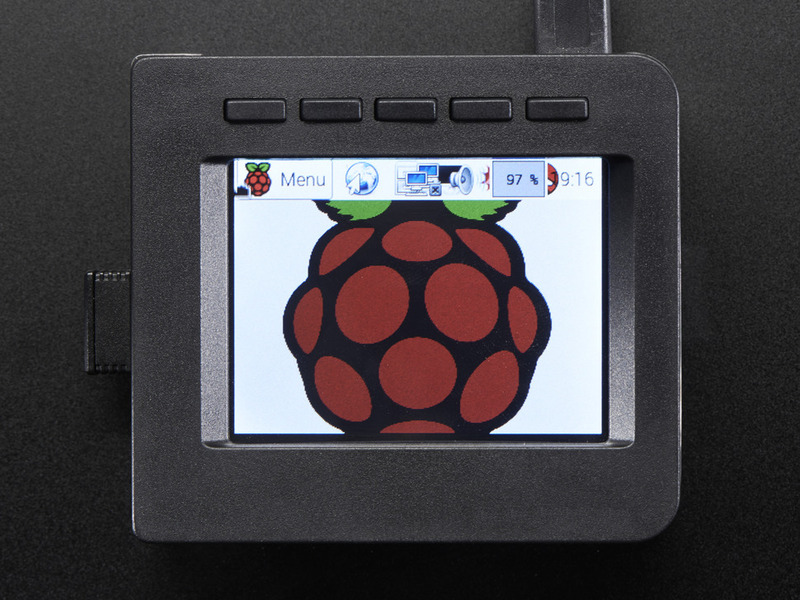 The faceplate replaces the normal 'top' of an Adafruit Pi case, with a sleek black bezel and button pads. You'll also need to get a "base" that this snaps into. We have them in all sorts of colors, check out the complete line of our Pi Model A+ Case Bases here. 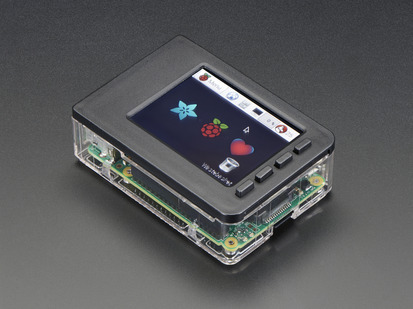 Please note: Screen, Case Base and Raspberry Pi not included - this is the Faceplate and Buttons only. 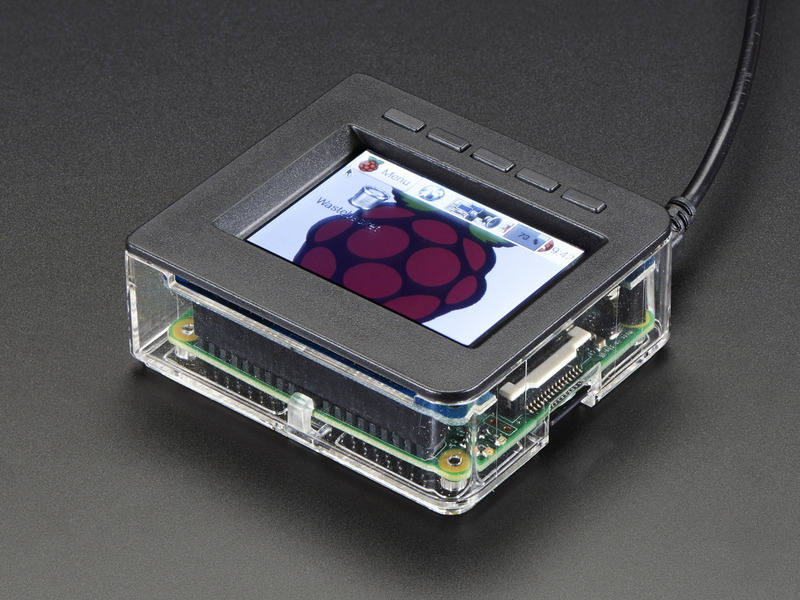 This is compatible with the Pi Model A+ and only our 2.4" PiTFT HAT. 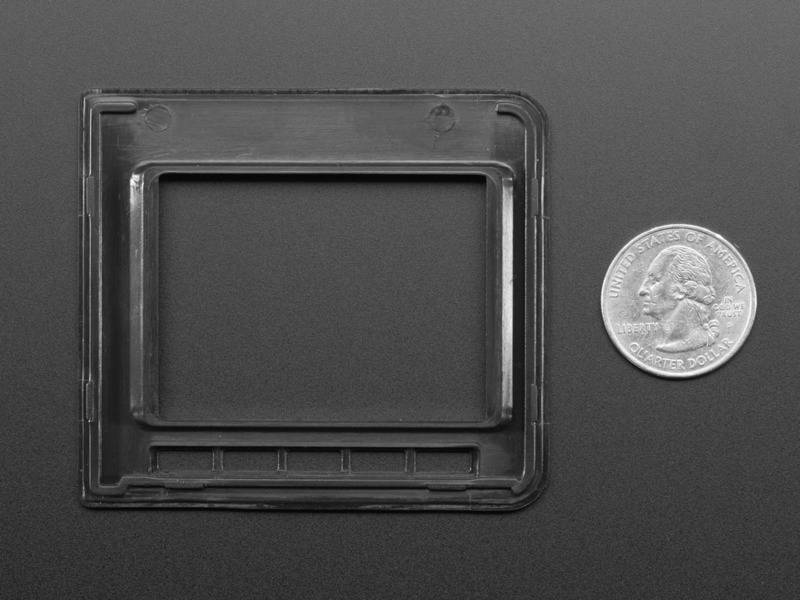 64.7mm x 72.7mm x 4.9mm / 2.55" x 2.86" x 0.19"